College students grow in the classroom. 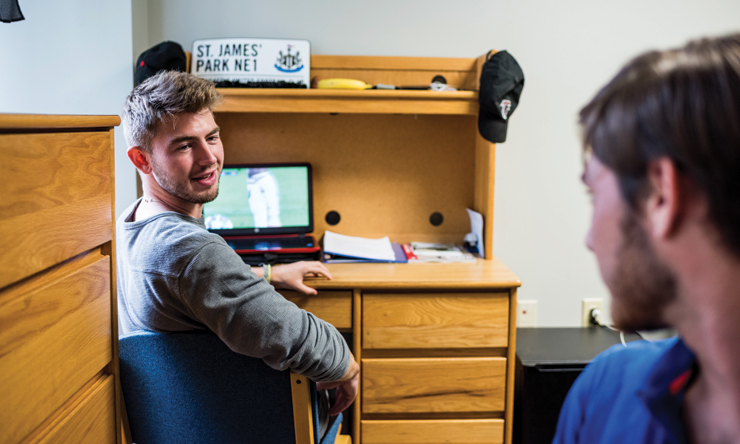 College memories – as well as lifelong friendships – tend to grow in the late-night quiet of a residence hall suite. 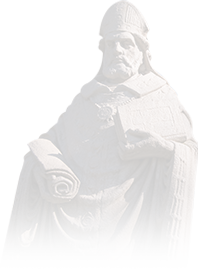 We're plenty proud of the quality education our top-notch faculty, liberal arts grounding, and 60-plus undergraduate major degree programs can provide St. Ambrose students. 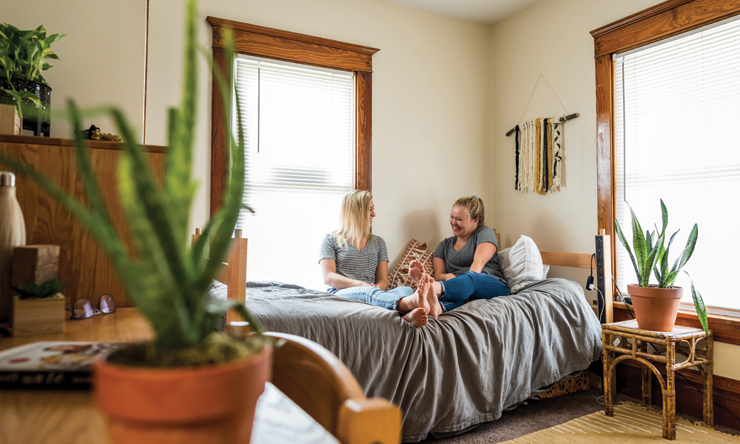 We're equally proud of the modern Residence Life housing options students say few colleges and universities in the Midwest can meet or beat. 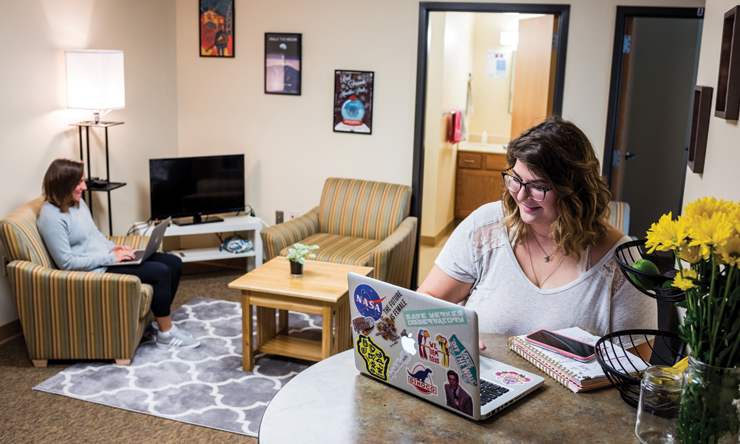 "When I visited schools, I noticed that Ambrose has the best living spaces of all of Iowa private colleges, in my opinion," said junior strategic communication major Natalie Jones. "Having great living spaces has enhanced my overall experience." 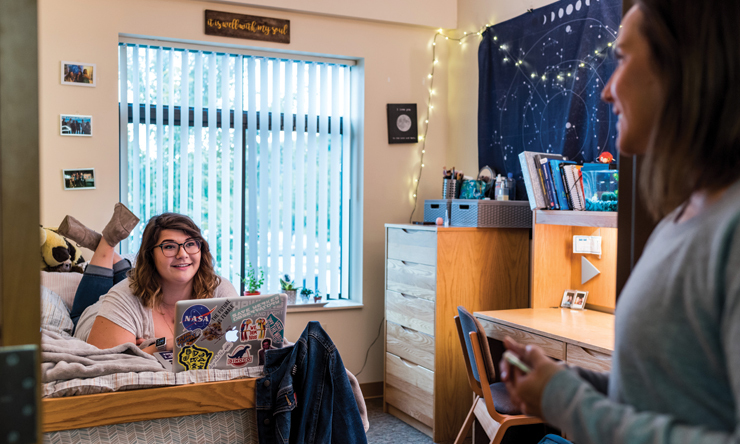 With eight residence halls, four on-campus townhouses, and 35 university-owned and maintained off-campus houses, SAU students have lots of choices, and, for many more-seasoned alumni, the campus – and campus life – looks a little different than the SAU they knew. 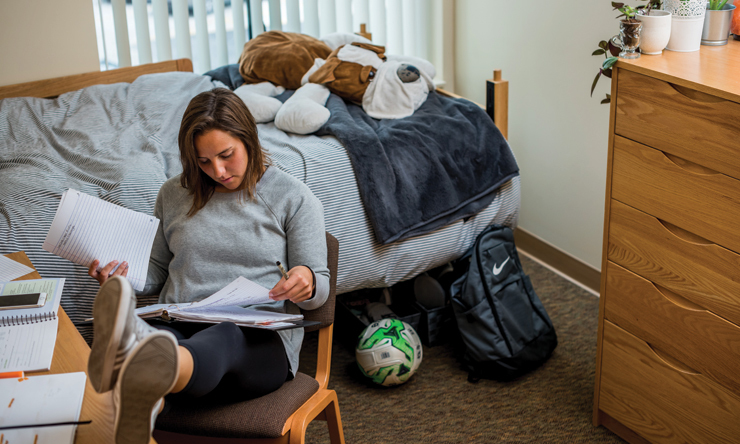 Over the past 22 years, six state-of-the-art residence halls have been built, adding 908 beds and new levels of comfort, convenience and modernity to campus life. 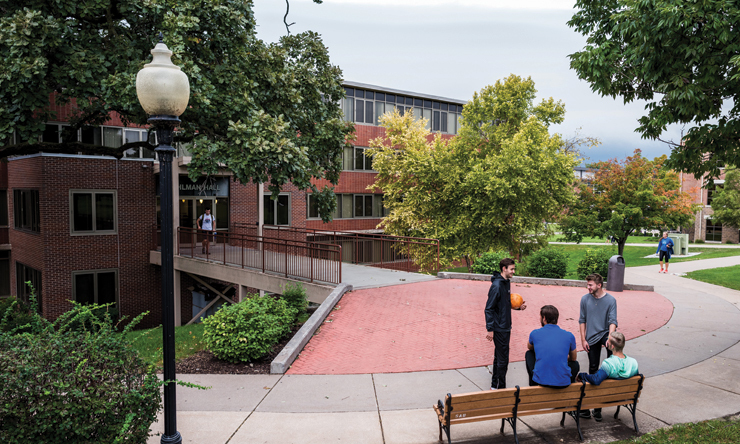 The new buildings include the five spacious halls that constitute Residence Row along the length of the eastern border of campus: Tiedemann (1996), Hagen (2000), Bechtel (2003), Franklin (2005), and North (2012). McCarthy Hall (2010) sits on the northwest end of campus near the Wellness and Recreation Center. 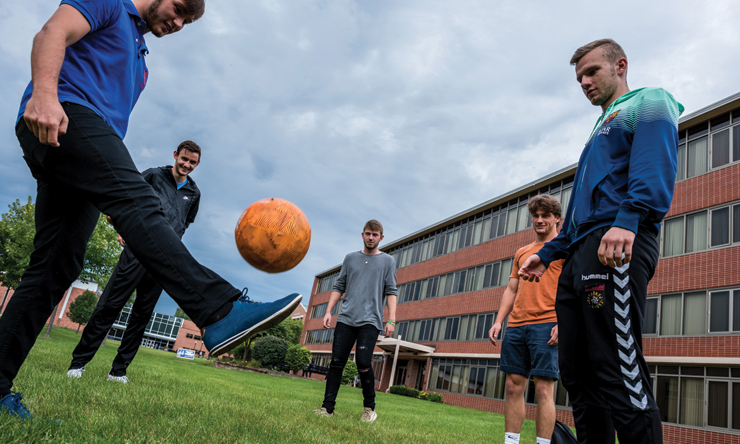 The Townhouses – Andrews, Strub, Schneider and Sudbrook – were built in 1990 and offer upperclassmen an off-campus-like experience, complete with an expansive courtyard, right on campus, mere yards from the Rogalski Center. 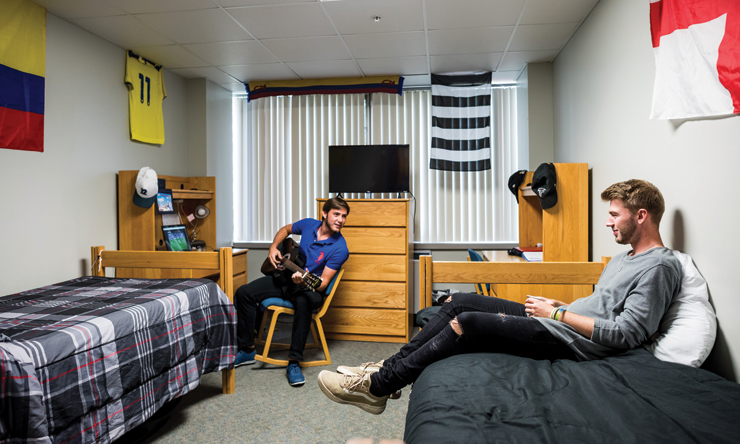 SAU living is rounded out by updated versions of Cosgrove, Rohlman, and Davis Halls, the residence halls fondly remembered by alumni of varied generations. 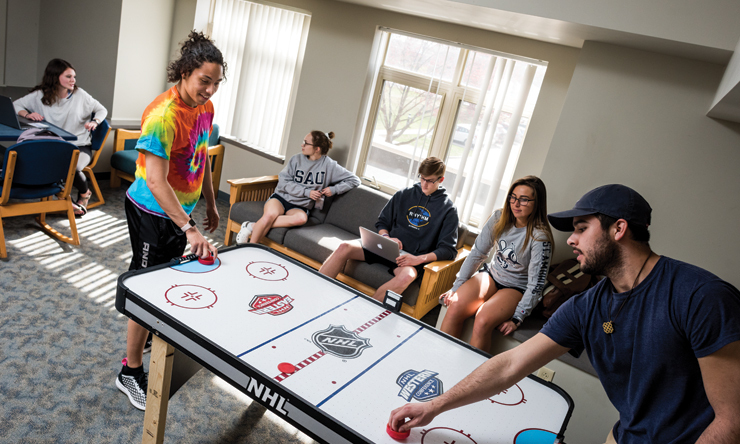 At St. Ambrose, Residence Life is about much more than providing students four walls and a roof. There is an on-campus security force, a state-of-the-art key card entry system, and staffed front desks. There's a fully wired, four-story library that still keeps stacks of books. There's the nearly-new Wellness and Recreation Center with a 200-meter track, a two-story cardio and workout room, and four courts for athletic practices and recreational play. There's a fine arts center and modern chapel for prayer or quiet contemplation. There's a cafeteria with fresh and healthy options. 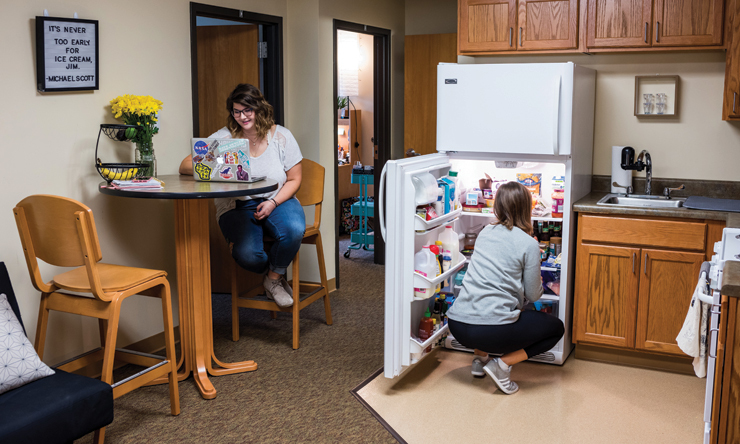 "It's a holistic approach," says Interim Director of Residence Life Sherry Whetzler. 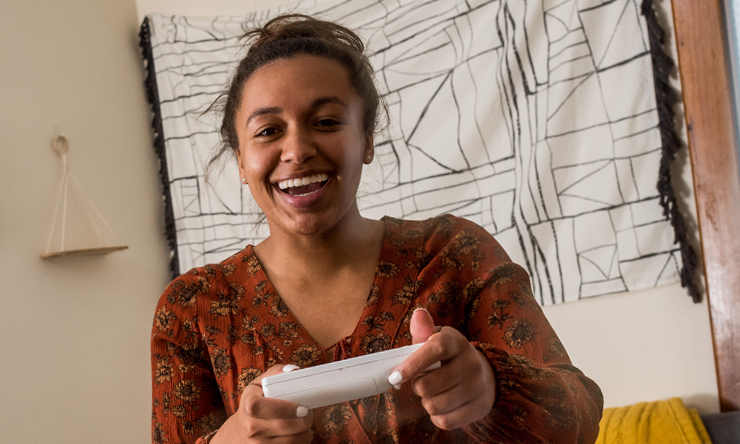 "Students are developing a grander sense of self during this time in their lives, and Residence Life plays a huge role in that." 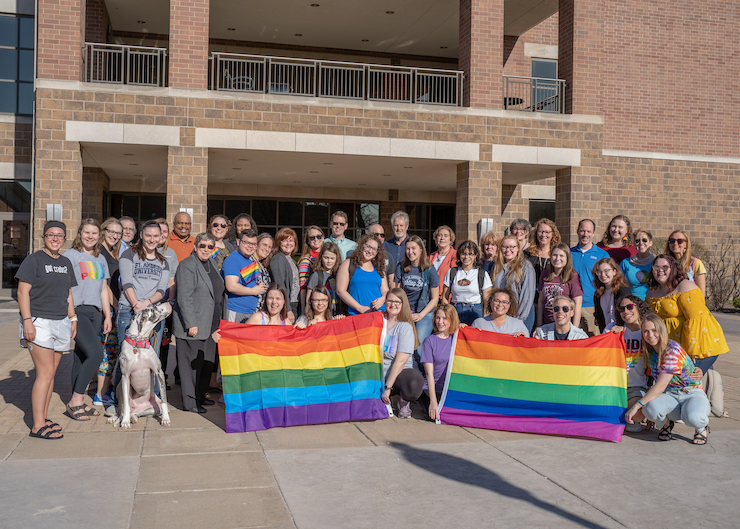 Whetzler's friendly and well-trained staff consists of residence directors, area coordinators, and a few dozen Resident Advisors (RAs) who work with the Student Activities Office to plan events throughout the year that help students engage and connect. "Even the level of housekeeping is better than most colleges and universities offer," Whetzler said. 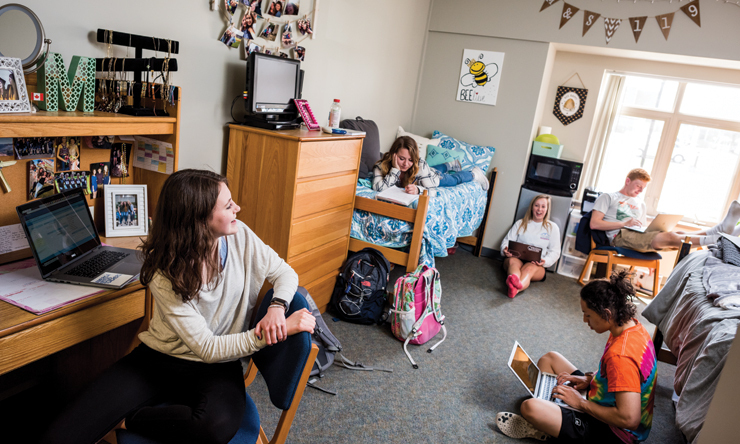 Residence Life offers multiple living options that can make every year at SAU feel new. These include apartment-style res hall living with kitchens, single rooms and a common space. 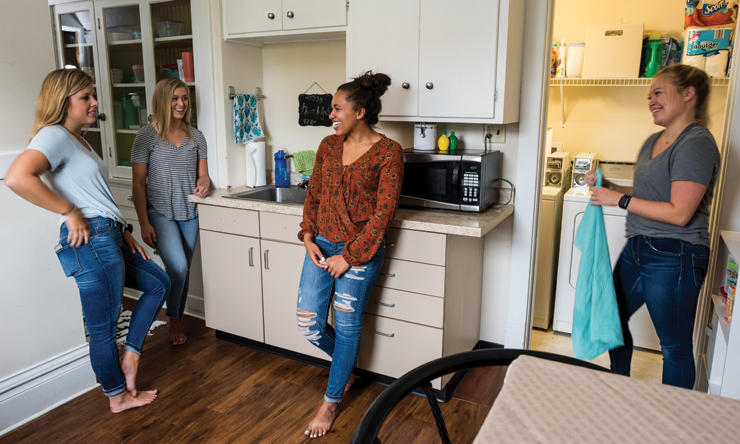 Students also can live in themed communities on residence hall floors or with like-minded friends in university-owned off-campus housing. 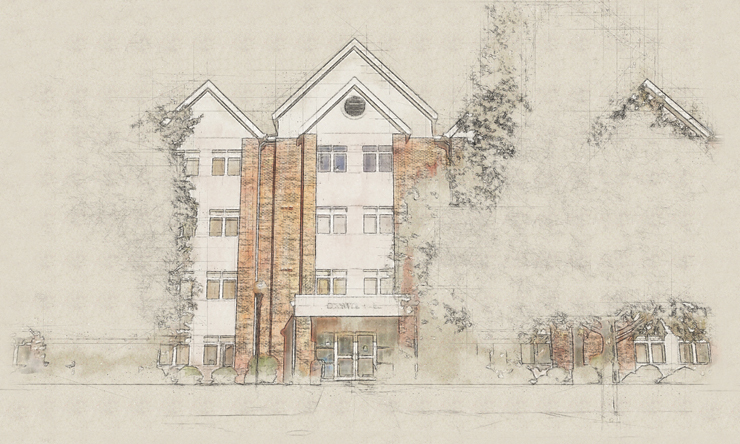 Meanwhile, the townhouses offer center-of-campus living with patios overlooking an often activity-filled courtyard quad. 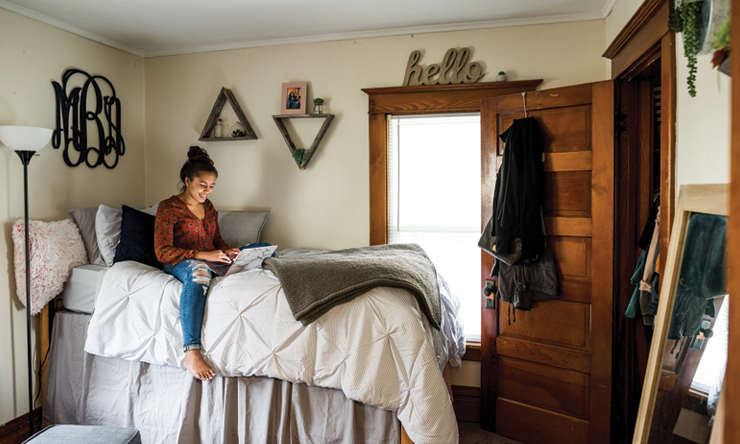 "I have lived in North, Davis, Rohlman, and an off-campus house," said Jones, who has even made use of on-campus summer housing. 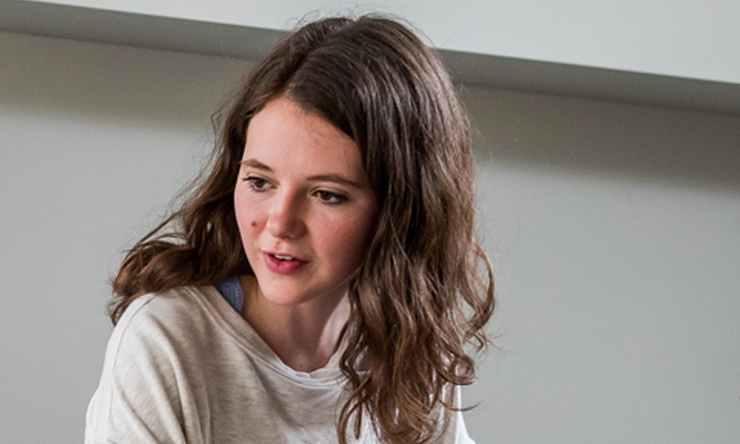 "I have places to study without leaving my building and a great support system from fellow students to the Residential Life Staff. My experience has been nothing but good." What's great about SAU living? See for yourself. 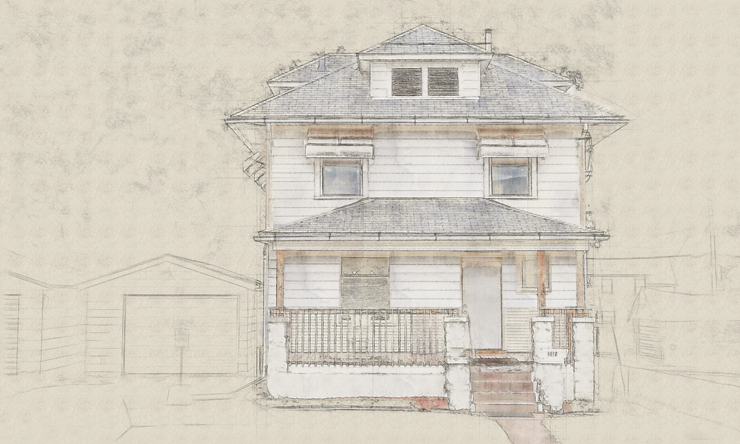 "I've lived in North all four years because I absolutely love the community and the design. 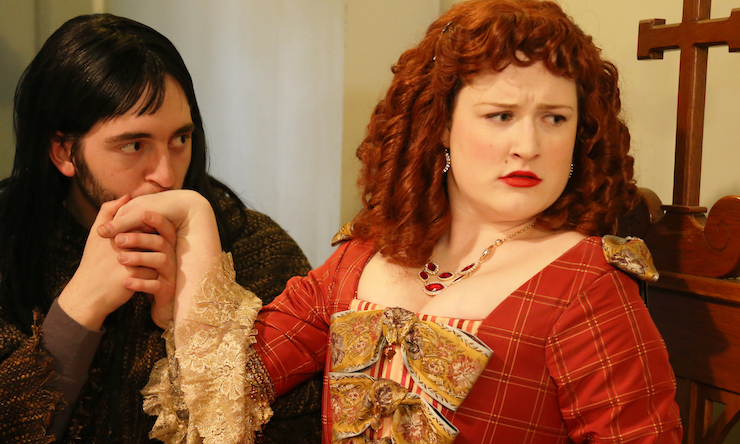 My roommates and I all really love that we have big rooms to ourselves and a kitchen." 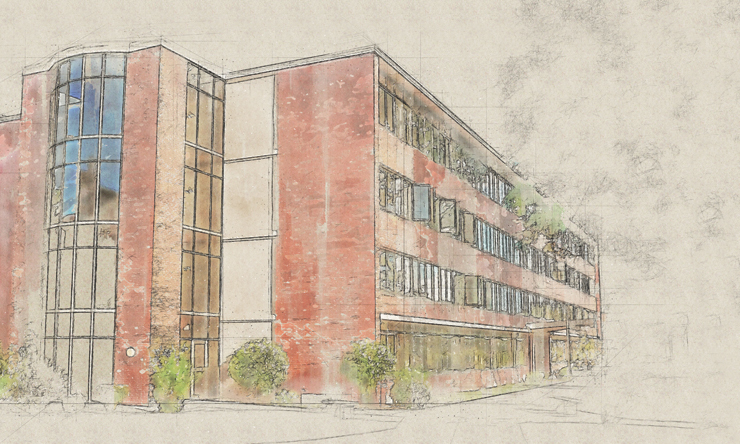 "Rohlman Hall has a great location in the middle of campus. It has all the basics a college student needs and probably more. And it gives you the freedom of arranging it the way you and your roommate want so you feel at home." 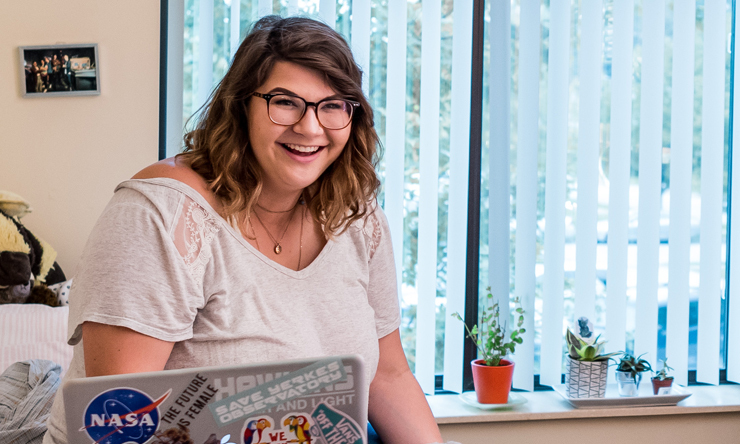 "There is a lot to love about living in the townhouse, but my personal favorite is being able to live in a house without excluding anyone in my group of friends. Another feature I love having is access to a full kitchen to cook inside as well as being allowed to grill outside." 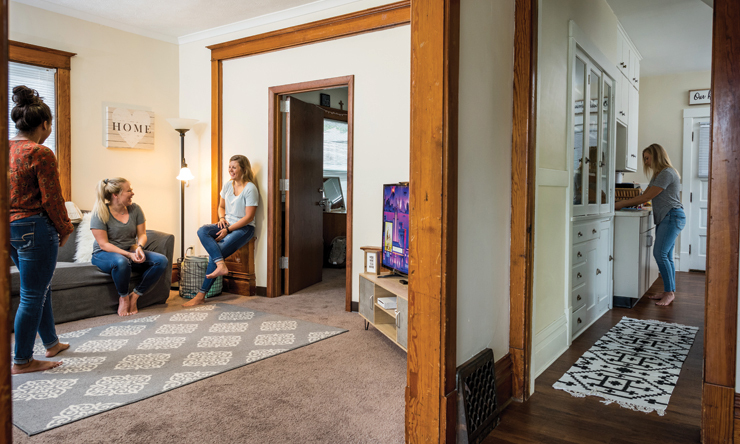 "There are many things that I enjoy about my house, from the unique style my roommates and I put on our house, to the location close to campus." 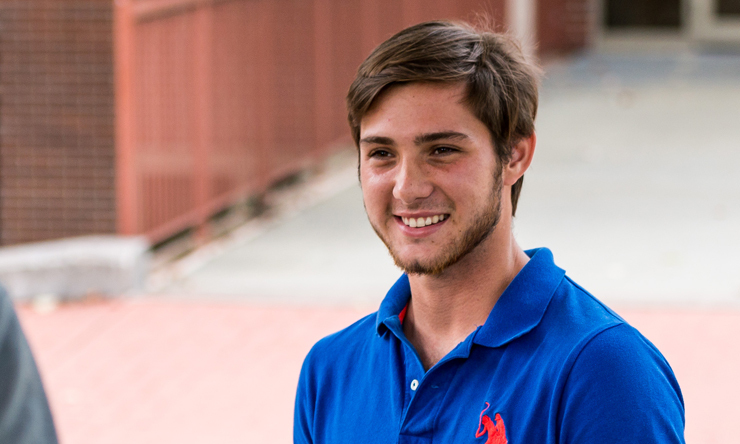 "The best part about living in Bechtel is being surrounded by other freshmen, making it so easy to make friends! The location is perfect as Bechtel is across from the Rogalski lawn. My room never felt cramped, especially my closet, which was able to fit more than enough clothes. 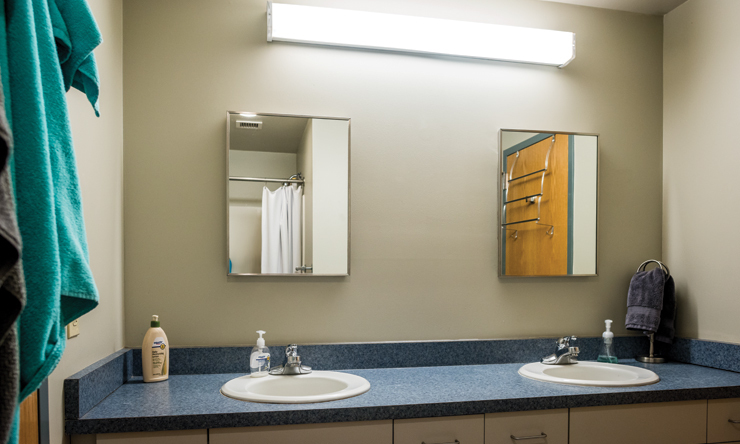 Having private bathrooms that were cleaned once a week was an amenity most college students do not have. 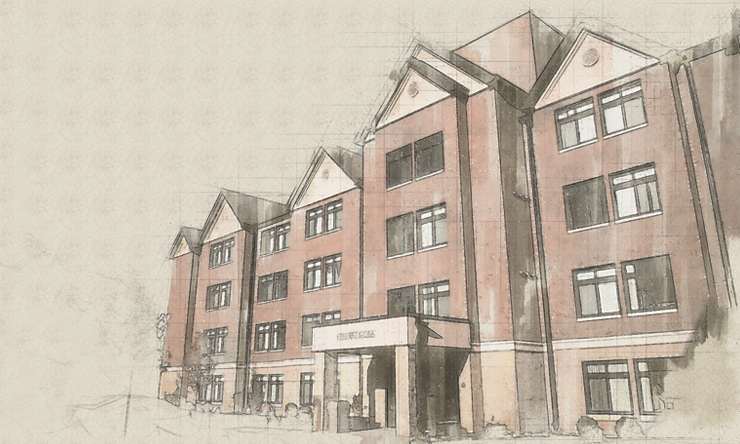 No other college I looked at came close to having the quality dorms St. Ambrose has."